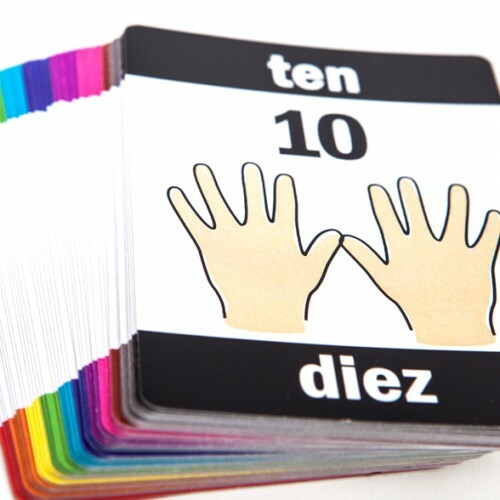 Enjoy playing games with your child using these finger pattern playing cards. They can be the first real tool your child will use to learn early counting and patterning. 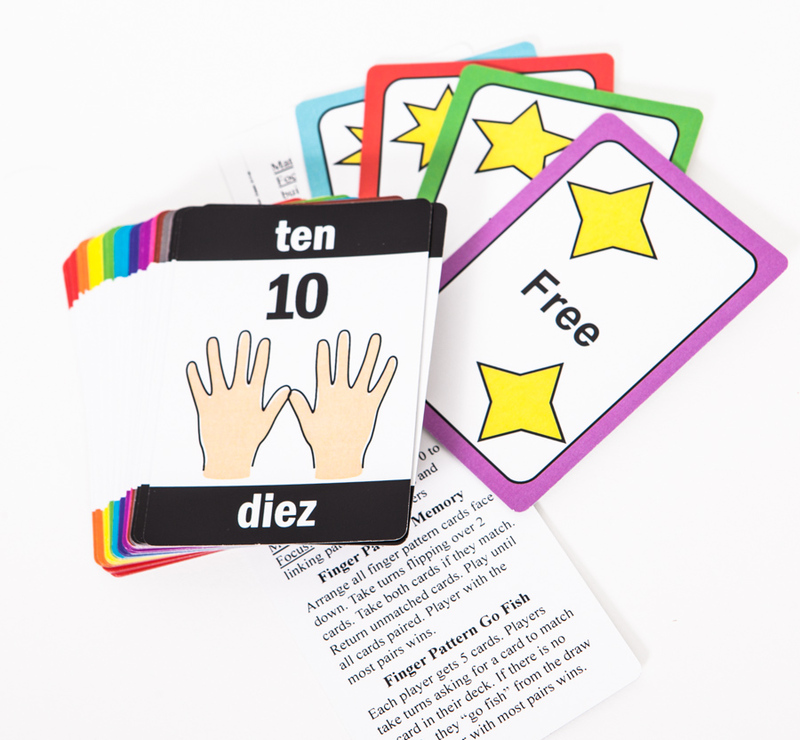 Four sets of 0-to-10 Finger Pattern Playing cards and four free cards. Direction cards are included. We created Finger Pattern Playing cards after identifying a need for students to link their own finger patterns to the actual numeral and the written numeral. The primary colors make the cards helpful when working with younger students. They can play the game by color while still exploring finger patterns. 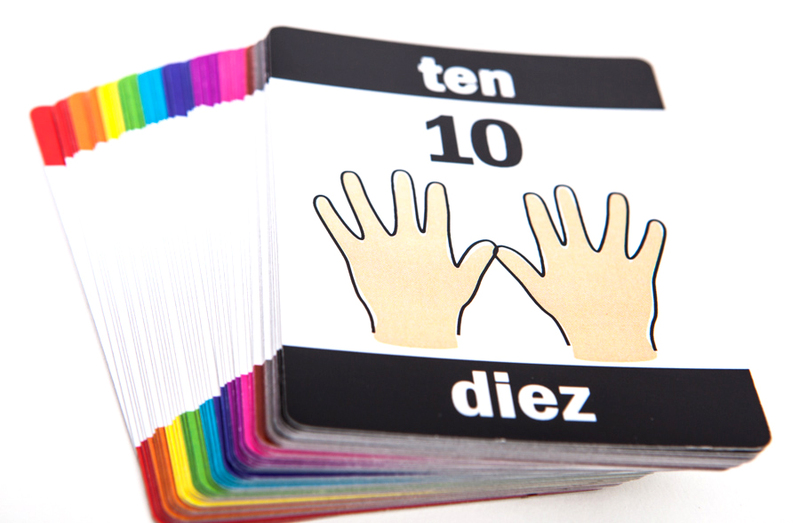 Finger pattern cards can be used for older students to encourage combinations of five and ten. These cards have been adopted at elementary schools across the United States and math curriculum developers are inserting them into their new curriculums. CCSS.Math.Content.K.CC.C.6 Identify whether the number of objects in one group is greater than, less than, or equal to the number of objects in another group, e.g., by using matching and counting strategies. CCSS.Math.Content.K.OA.A.3 Decompose numbers less than or equal to 10 into pairs in more than one way, e.g., by using objects or drawings, and record each decomposition by a drawing or equation (e.g., 5 = 2 + 3 and 5 = 4 + 1). CCSS.Math.Content.1.OA.B.4 Understand subtraction as an unknown-addend problem. For example, subtract 10 – 8 by finding the number that makes 10 when added to 8.